Asparagus plant, Asparagus officinalis, is a crown based vegetable. In spring it produces vigourous and delicious “spears” Established crowns will produce for up to 20 years. A bed of 12 crowns will provide weekly asparagus for the avarage family. Asparagus is a tonic for the urinary tract, clears toxins accumulated over winter. 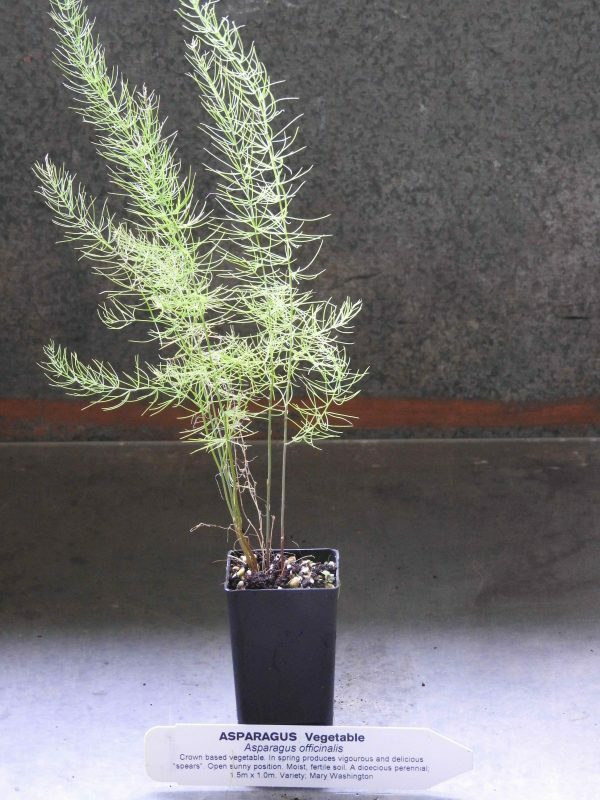 Asparagus plant is a native to the Mediterranean and prefers a moist, well drained soil in an open sunny position. Frost resistant but drought tender. A dioecious perennial growing to 1.5m x 1.0m. Be the first to review “Asparagus, plant” Click here to cancel reply.